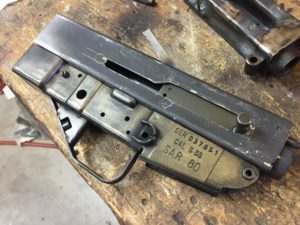 My first foray into building my SAR-80 receiver was to reweld the upper back together. Using a gas torch and being completely out of practice led to less than stellar results. I know it’s possible as Henderson Defense built one as a post sample and got it running well. Although they mentioned having to take the BFH to it to straighten out the warping. I decided to start from sratch and ordered some 18ga 1008 sheet steel off of Amazon. I tried to bend it in a cheap harbor freight brake and it flexed too much. 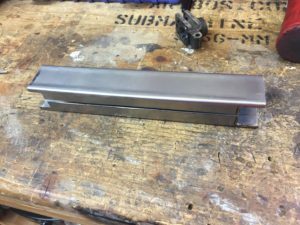 I resorted to milling a piece of 6061 aluminum to fit inside then beat the corners into a more square-ish shape. 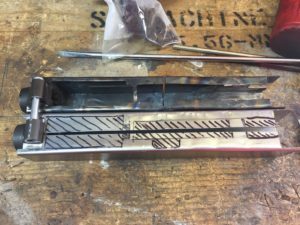 Felt like Boris building an AK from a Shovel. 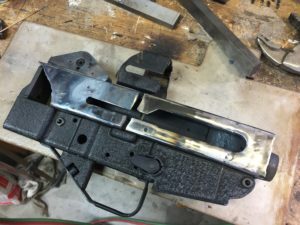 I cut up some pieces to weld inside to guide the cam pin and to retain the charging handle. The combination of my crappy AC flux core welder and the this sheet steel led to me needing to reweld these multiple times. I now call this one my “Ugly Build”. 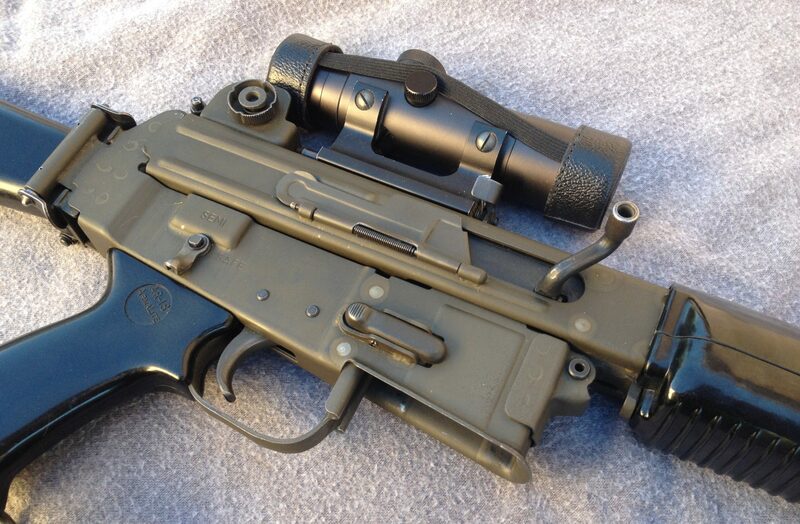 At this point it still needs the rear sight welded on and the charging handle spacer piece rewelded. 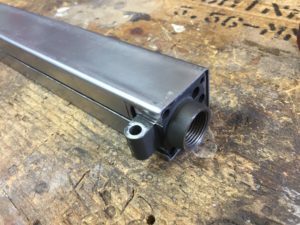 When I was rebuilding the AR18 torched uppers I needed sections of those upper tubes. I took some .063 4130 to a fab shop that had a press brake. they made me some nice tubes, proper size with correct corner radii for not too high a price. That’s the way to go. But I understand some guys like to do it ALL themselves. Previous PostPrevious New Record Auction for an AR-180? 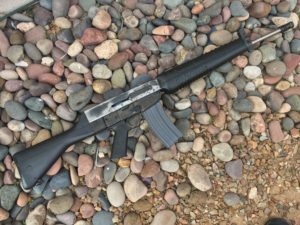 Next PostNext SAR-80 Kit Build – Finished?